Gilmore Girls Stars Hollow Coffee Club. Lorelai approved. New flavor coming this month. 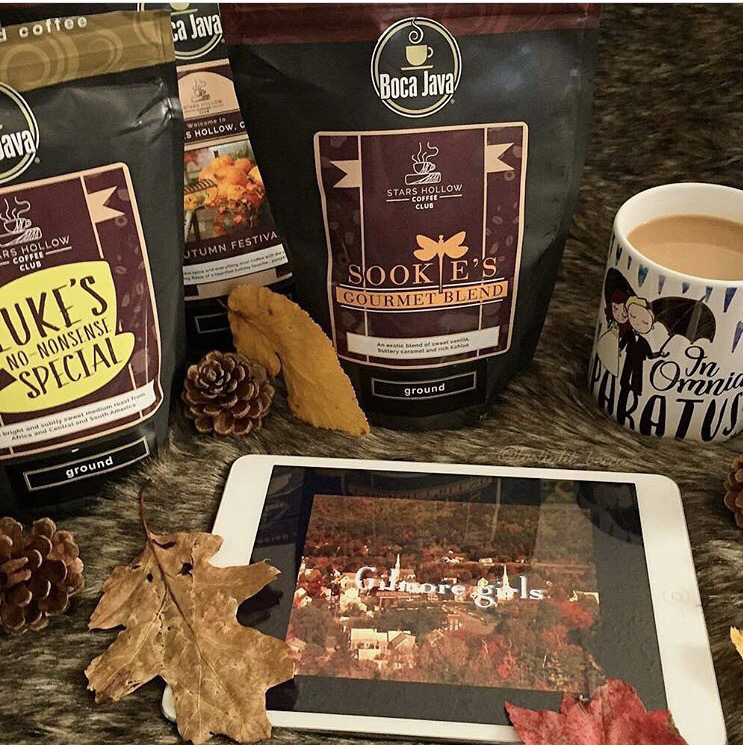 They offer roasted-to-order Gilmore Girls inspired bags like: Luke's No Nonsense, Sookie's Gourmet Blend, Taylor Doose's Town Meeting, Mrs. Kim approved Dark Roast, Autumn Festival, & Winter Festival. Will you be grabbing a bag as an add-on?